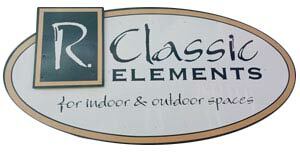 R. Classic Elements offers home decor, gifts, jewelry and our own all natural soy candle line, Shanesville Candles. R Classic Elements changes with the seasons. We have been on the corner of State Route 39 and 93 for 11 years. We opened R. Classic Elements II (1574 State Route 39, Sugarcreek) August 1st, 2018. Make sure to stop in both locations. Shanesville candles are handcrafted in the Heart of Amish Country. In the winter of 2010, I started making candles in my kitchen to sell in our gift shop, R Classic Elements, located in Shanesville, Ohio. Our customers loved that we used only the best soy ingredients in the industry. We double scent each and every ounce of wax, the most any soy wax candle will hold, This makes a beautiful clean burning candle. If for whatever reason you are not completely satisfied with our candles, kindly let us know! Store Hours: Mon - Fri: 9:00 am - 5:00 pm / Saturday 9:00 a.m. - 6:00 p.m. Call: (330) 852.4141 with any questions!